Cute Cartoon Hungry Wolf Tile Cheerful Madness!! Cute Cartoon Hungry Wolf 16oz Water Bottle Cheerful Madness!! Cute Cartoon Hungry Wolf 24oz Water Bottle Cheerful Madness!! Cute Cartoon Hungry Wolf Pendant Lamp Cheerful Madness!! Kot w kształcie klucz wiolinowy lub klucz wiolinowy w kształcie kota. Dla miłośników kotów, muzycy, muzycy, którzy lubią koty, ludzie, którzy lubią muzykę i koty i koty, które lubią muzykę. Grafika wektorowa dla potrzeb techniki plot (flex i flock). Możesz zmieniać kolory grafiki. Koszulki. Do you have a page on Facebook? Not a personal profile but a page about your business, hobbies, causes, etc. Little Red Riding Hood and The Wolf Stone Coaster Cheerful Madness!! Little Red Riding Hood and The Wolf Placemat Cloth Placemat Cheerful Madness!! Fluorescent Cartoon Cat Ribbon Satin Ribbon Cheerful Madness!! Fluorescent Cartoon Cat Santa Hat Cheerful Madness!! Fluorescent Cartoon Cat Stocking Elf Christmas Stocking Cheerful Madness!! Fluorescent Cartoon Cat Paper Plates 7 Inch Paper Plate Cheerful Madness!! Fluorescent Cartoon Cat Fleece Fleece Blanket Cheerful Madness!! Little Red Riding Hood and The Wolf Jumbo Mug Cheerful Madness!! Little Red Riding Hood and The Wolf Hip Flask Cheerful Madness!! Little Red Riding Hood and The Wolf Apron Cheerful Madness!! Red Riding Hood And The Wolf Light Switch Cover Cheerful Madness!! Little Red Riding Hood and The Wolf Coasters Set Cheerful Madness!! Little Red Riding Hood and The Wolf Commuter Mug Cheerful Madness!! Blue Cartoon Unicorn Pacifier Cheerful Madness!! Cute Pink Cartoon Unicorn Baby Blanket Cheerful Madness!! Cute Pink Cartoon Unicorn Burp Cloth Cheerful Madness!! Cute Blue Cartoon Unicorn Baby Blanket Cheerful Madness!! Cute Blue Cartoon Unicorn Burp Cloth Cheerful Madness!! Pink Cartoon Unicorn Baby Bib Cheerful Madness!! Pink Cartoon Unicorn Pacifier Cheerful Madness!! Blue Cartoon Unicorn Baby Bib Cheerful Madness!! Cute Facetious Cartoon Unicorn Baby T-Shirt Cheerful Madness!! Cute Friendly Cartoon Unicorn Burp Cloth Cheerful Madness!! Cute Friendly Cartoon Unicorn Baby Blanket Cheerful Madness!! Cute Friendly Cartoon Unicorn Baby Bib Cheerful Madness!! 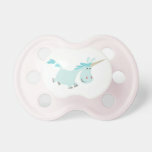 Cute Friendly Cartoon Unicorn Pacifier Cheerful Madness!! Cute Cartoon Dancing Unicorns Burp Cloth Cheerful Madness!! Cute Cartoon Dancing Unicorns Baby Blanket Cheerful Madness!! Cute Cartoon Dancing Unicorns Baby Bib Cheerful Madness!! Cute Cartoon Dancing Unicorns Pacifier Cheerful Madness!! Cute Unscrutable Cartoon Unicorn Burp Cloth Cheerful Madness!! Cute Unscrutable Cartoon Unicorn Baby Blanket Cheerful Madness!! Cute Unscrutable Cartoon Unicorn Baby Bib Cheerful Madness!! Cute Unscrutable Cartoon Unicorn Pacifier Cheerful Madness!! Cute Toothy Cartoon Unicorn Burp Cloth Cheerful Madness!! Cute Toothy Cartoon Unicorn Baby Blanket Cheerful Madness!! Cute Toothy Cartoon Unicorn Baby Bib Cheerful Madness!! Cute Toothy Cartoon Unicorn Pacifier Cheerful Madness!! Mischievous Cartoon Baby Unicorn Burp Cloth Cheerful Madness!! Mischievous Cartoon Baby Unicorn Baby Blanket Cheerful Madness!! Mischievous Cartoon Baby Unicorn Baby Bib Cheerful Madness! !